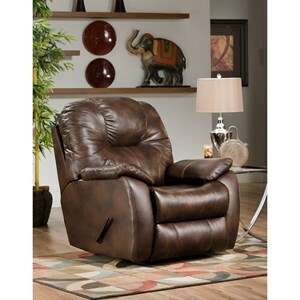 This rocker recliner will give you all the comfort you need to keep you off your feet for hours. With its fully padded chaise and plush head rest, this chair will become your favorite napping mate. 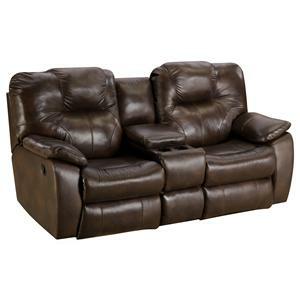 Also available with a swivel, as a wall hugger, a wall hugger with power or a glider or swivel glider, so no matter what your preference, there is a recliner for you. The Avalon Comfortable Swivel Rocker Recliner by Southern Motion at Hudson's Furniture in the Tampa, St Petersburg, Orlando, Ormond Beach & Sarasota Florida area. Product availability may vary. Contact us for the most current availability on this product.